This mind map diagram template is created for presentation purposes. It structures and organizes a thinking process over an idea which has 4 ways of being approached (or developed). 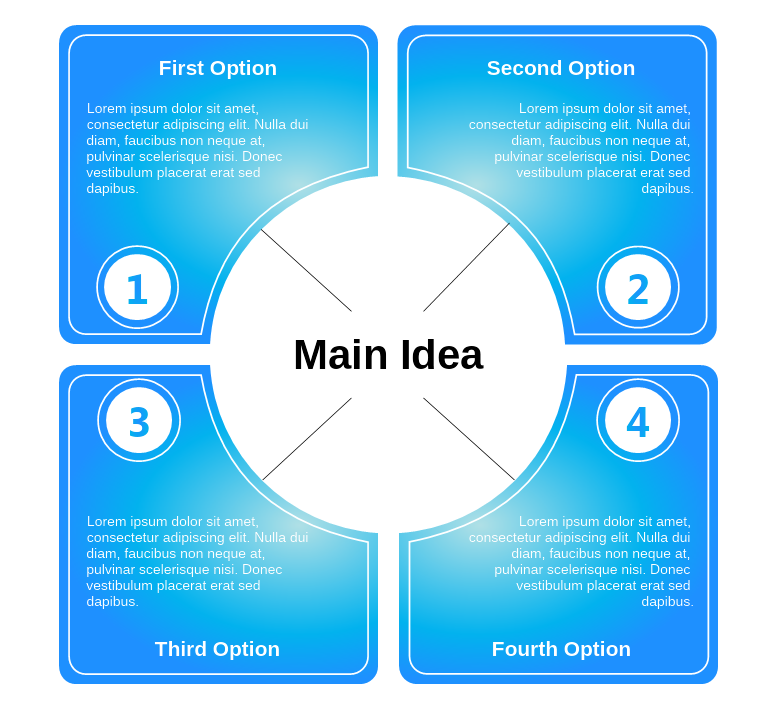 This mind map template allows you to present the different options and add some additional clarification text to each of them. To edit the text simply double click on it and start typing.